The Bridgewater Country Club in Fort Erie was a busy place this afternoon during the Southern Tier Mayors Luncheon. 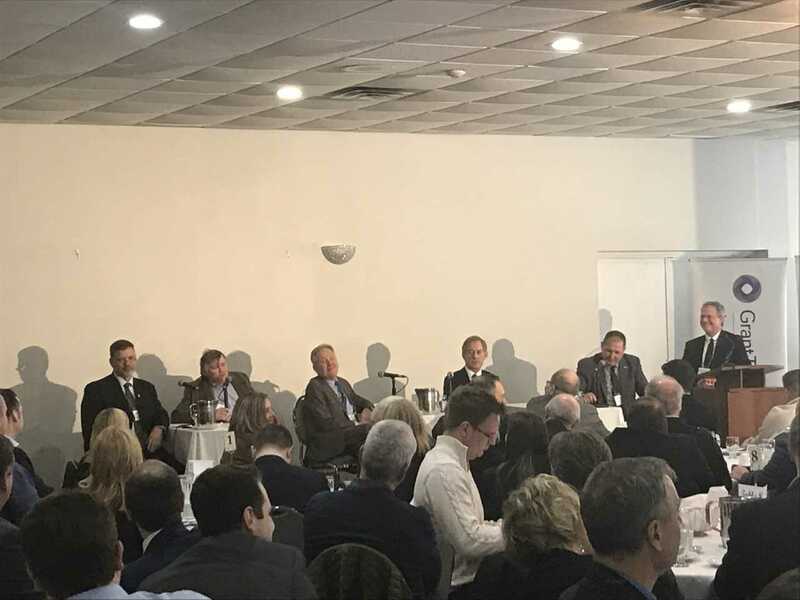 The Mayors of Fort Erie, Thorold, Pelham, Wainfleet and Port Colborne talked about their plans for the next four years. Fort Erie Mayor Wayne Redekop says his council is currently working on their strategic plan and affordable housing is a big issue they would like to address. He says his Town is also planning on investing in improvements along the waterfront and making sure the building blocks are in place to welcome new residents and businesses to the area. Thorold Mayor Terry Ugulini is excited about new residential development in his City. Pelham Mayor Marvin Junkin would really like to address issues regarding a local marijuana plant in his community. Wainfleet Mayor Kevin Gibson is looking forward to the construction of a new fire hall and ambulance bay in the area of Chambers Corners. Port Colborne Mayor Bill Steele would like to work on infrastructure, address a water loss issue within the Town and expand their marine industry. The Mayors also talked about the provinces regional government review and what they think about the new councils that were voted in this past October.